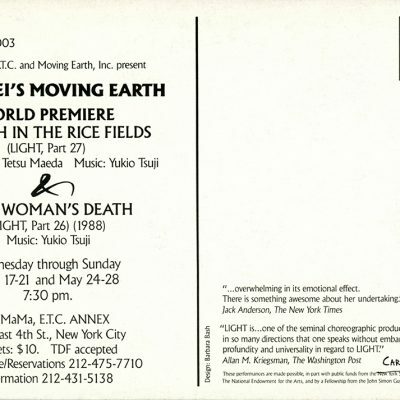 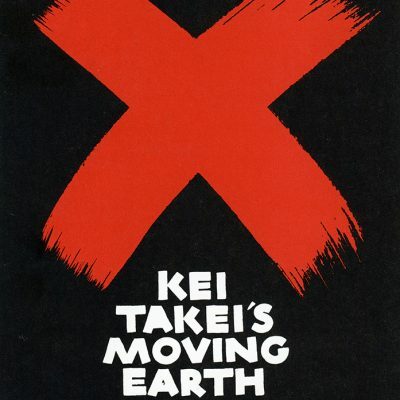 Invitation from Kei Takei´s Moving Earth to the world premiere of “A Death in the Rice Field” (Light, part 27) with scenography by Tetsu Maeda and music by Yukio Tsuji; and the piece “One Woman’s Death” (Light, part 26) with music by Yokio Tsuji. 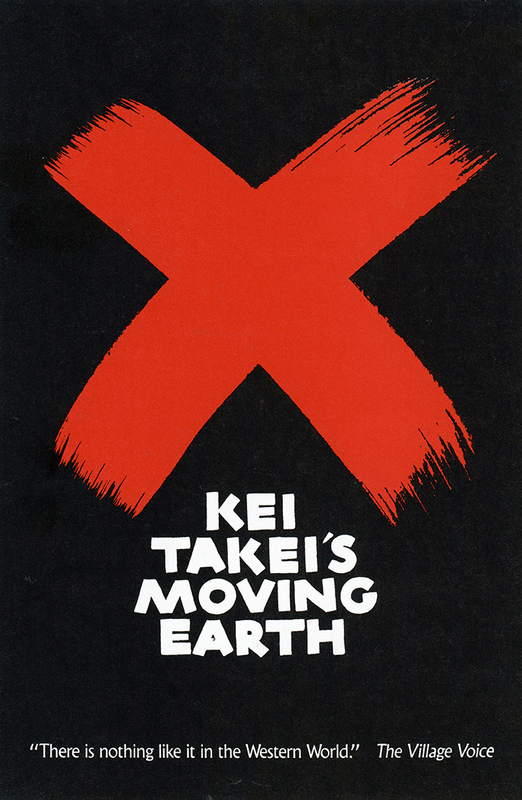 At La Mama E.T.C., New York, United States. 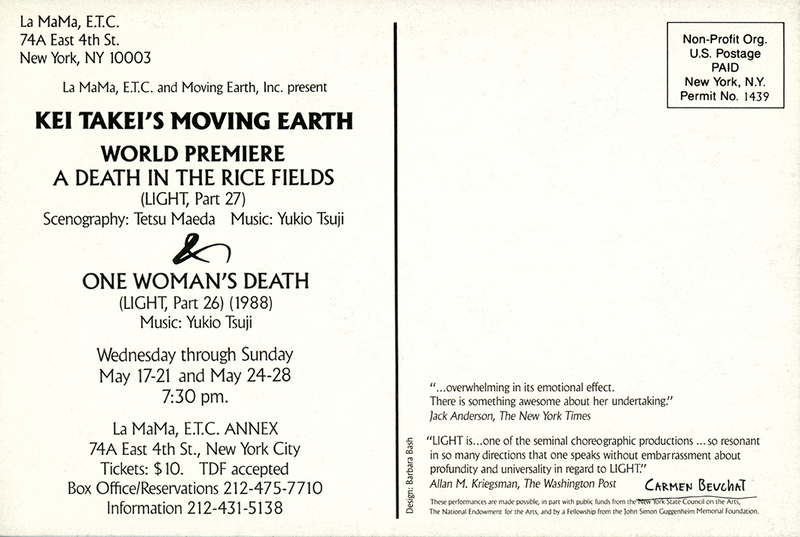 Physical Description: Invitation 19 x 12,6 cm.